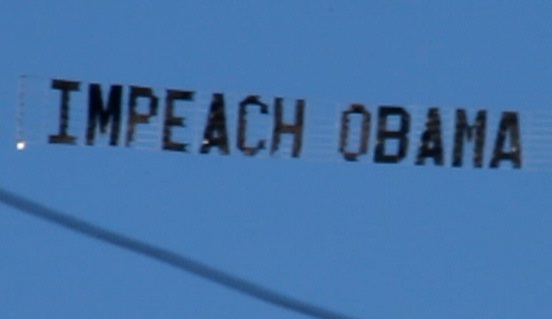 The Impeach Obama NOW Coalition hired and flew this banner at the Veterans Day Parade of 2015 on the harbor of San Diego. It was well received, though even many veterans after seven years are still willing to ignore that the emperor has no clothes. However, we received no very intense negative reactions. Two congressmen were there to see the banner, Democrats Scott Peters and Susan Davis, as well as the Mayor of San Diego, Kevin Faulconer and many other local politicians. Fifteen patriots contributed to the cost of the banner. PLEAS PRAY That THOES WHO GAVE Up THERE LIVES for all of God Children that, they Did Not Die In Vane.